Home » Support Us » Happy Birthday to the Smith Opera House! WE INVITE YOU TO CELEBRATE! We will be presenting special concerts, films, and events all year that tie into the remarkable history of The Smith. For example, two upcoming films recall live theatrical performances that took place during The Smith’s early days. Topsy-Turvy on Thursday, May 30 tells the story of the chaos brought on by a creative dry spell for Gilbert and Sullivan just before they wrote The Mikado, their famous operetta that has been staged at The Smith many times. 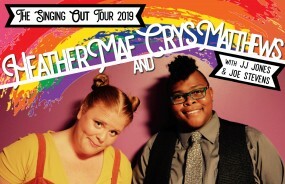 Coming up on Friday, June 7 we support the 2019 FLX Pride Festival with a special concert with Heather Mae and Crys Matthews as they perform as part of their Singing OUT Loud Tour. On Saturday, June 9 we have a free screening of the documentary Stonewall Uprising, which looks back at the 1969 Stonewall Riots (also celebrating a landmark anniversary this year). Save the date of Saturday, October 26 when we will have an epic birthday party culminating with a site-specific, immersive theater event, bringing the history of the building to life. And every Wednesday morning from May through October, we will be offering free tours of The Smith. WE INVITE YOU TO GIVE THE SMITH A BIRTHDAY PRESENT! Genevans have kept the Smith Opera House thriving for generations, bringing downtown Geneva to life with world-class performances and films. Now YOU have the opportunity to invest in our unique cultural resource so that future generations can enjoy events at The Smith, just as you do now. DOUBLE YOUR GIFT! Now’s the time to contribute to The Smith’s “Endowed Support for Continuing Maintenance” because, until October 2019, every donation will be doubled, thanks to a leadership gift from Brenda and Dave Rickey. 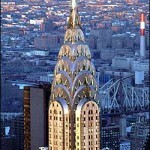 This fund will support the care and upkeep that the building requires to look its very best, each and every day. These wonderful people have already made generous contributions to The Smith’s Endowed Support for Continuing Maintenance! Wouldn’t you like to join them? The Smith opened its doors on October 29, 1894. Did you know that in its 125 years The Smith has hosted boxing matches? Frank Zappa? British suffragette Emmeline Pankhurst? Our weekly Smith history blog doles out stories about your favorite venue and makes you amazed and proud to be part of its unfolding history. Each week, we post a new story about Smith History, right here!